OPTIMISM of a better Zimbabwe has been a song of the moment, sung with melody among a surplus number of candidates who are pursuing for a position to represent citizens in the House of Assembly after the much anticipated elections at the end of this month. Goromonzi West has not been spared as five candidates have all been tipped to lead the constituency into a better future. Members of the public have a huge task to choose who they really want to elect, a candidate who posses the vision to uplift the individuals’ lives centered on socio-economic and political will of the people. This week, Zimsentinel met with one of the candidates who candidly believes winning the coming elections touted for 30 July was up gabs even though she saw her chances highly above every other candidate in the constituency. 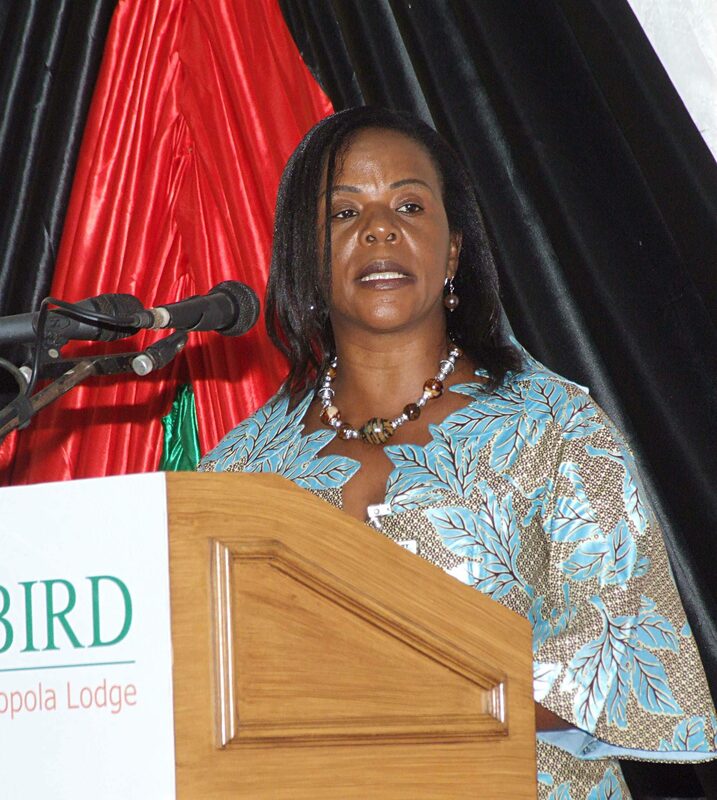 Biata Beatrice Nyamupinga, a former Goromonzi legislator is now running as an independent candidate and she believes all the people who elected her in 2013 were still rallying behind her despite the fact that she was demoted from ZANU-PF days after Mr Mugabe’s ouster from power. Nyamupinga hopes to outrun four other contestants , Energy Mutodi of Zanu PF, Luke Tamborinyoka and Clifford Nhamburo both from the MDC Alliance and another from the Joice Mujuru led Rainbow Coalition. She heavily believes her ‘excellent’ track record in the two terms she served will stand her in good position against the rivarlries. “I have been an MP for this area for the past ten years and have initiated numerous self help projects around the constituency such as peanut butter making and chicken rearing for women, i have also paid tuition fees for several orphans at schools like Parirewa,” said Nyamupinga. She said citizens are more interested in works that has been done than hanging on promises which so many of the candidates in the constituencies have been giving. “People do not want experiments. They need to see what an individual has been doing and knowing the way forward following the projects which have already been initiated before. With everything I have done in this constituency, I believe people know exactly what they need going forward and I believe I can work with them well,” said Nyamupinga. As a matter of citing her big hopes to triumph, she said in 2013 she won with a big margin, a sign that puts clear her political astuteness. “In 2013 I won with more than five thousand votes and all those people can not just desert me overnight, I got 12 758 against 7 123 for Ian Makone of the MDC T,” Nyamupinga said. Quizzed on whether she will get the same support as compared to previous campaigns when she was ZANU_Pf, she said people will vote on merit. “I pray that people vote on merit not party lines, voting on party lines has cost us a lot and its time for people to look for authentic representation,” said Nyamupinga. Tanaka Senzere a villager told this publication that indeed Nyamupinga enjoys strong support in areas such as Munyaviri, Nyakudya and Govere but doubted whether that support is enough to take her back to the August House. “In areas such as Munyaviri she is very popular because its her home turf and I’m sure she will garner considerable votes from those areas but it wont be enough to win her the elections. The best she will do is to hand the initiative to the MDC Alliance for surely she will split Zanu PF votes, “he argued. Despite all her optimism, Alexander Rusero a political commentator said it was difficult to win an election even if you were popular in the past. “Zimbabwean democracy is not ready for independent candidates, people vote along party lines as this parties push a distinct ideology than these independent candidates.Those independent candidates who made it such as Norton legislator Temba Mliswa succeeded because they were propped by a party MDC T, not because of their abilities,” said Rusero.